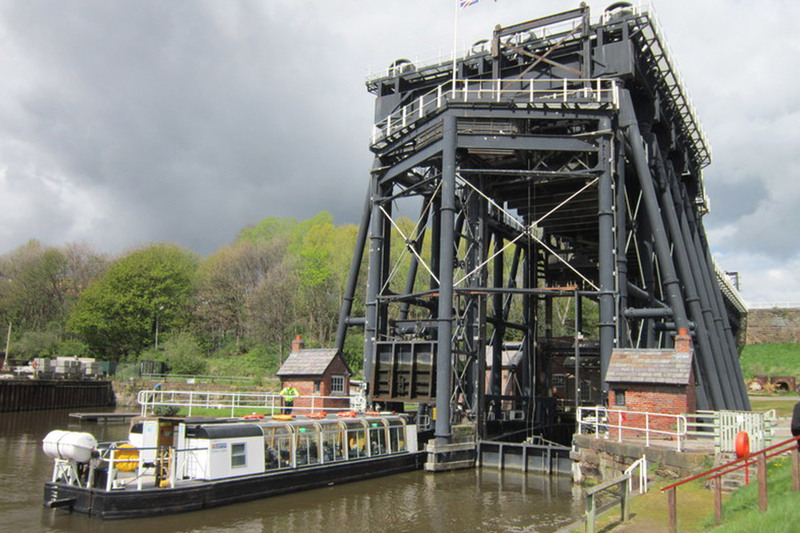 The Anderton Boat Lift is a two caisson lift lock designed by Edwin Clark. It provides a 50 foot vertical link between the River Weaver and the Trent and Mersey Canal. Built in 1875, the boat lift was to remain in industrial use for over 100 years. The original water tanks weighed a staggering 91 tonnes each when empty – and 252 tonnes once filled with water! 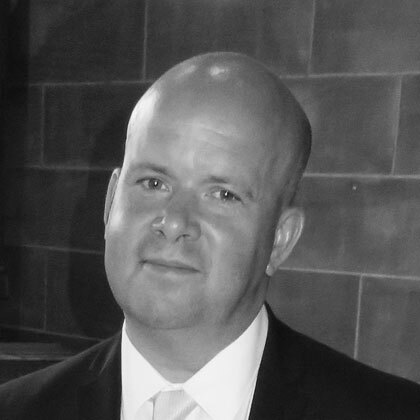 Edwin Clarke, the lift’s designer, went on to design water lifts right across Europe. The restoration was such a big job, it brought together the Waterways Trust, the Inland Waterways Association, the Anderton Boat Lift Trust, the Friends of Anderton Boat Lift, the Association of Waterways Cruising Clubs, British Waterways and the Trent and the Mersey Canal Society. Visitors to the Anderton Boat Lift today can climb all the way to the top and look down all 50 feet! The Anderton Boat Lift is one of the most popular canal attractions in Britain – even dubbed the ‘Cathedral of the Canals’. Built by Edwin Clark in 1875 to overcome the 50-foot gap between the River Weaver and the Trent and Mersey Canal, this enormous boat lift carries canal boats between the two. In total, the lift is 85 feet long and 49 feet wide. The mechanics that operated the lift were simple but effective when it was first built. Two enormous tanks filled with water alternately to provide the cantilever that lifts and lowers the boats. However, as the years went by the issues with the hydraulic operation mounted. Frost, rust and corrosion all started to take their toll, and in 1908 the lift was converted to electrical power. 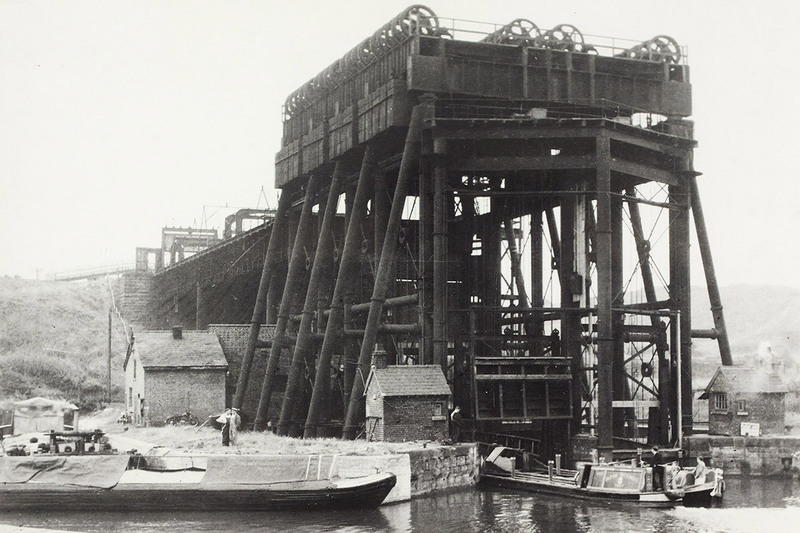 For 75 years, the lift ran smoothly, before British Waterways in the 1990s decided the time was right to convert the lift back to its original and much beloved hydraulic operation using new hydraulic technology (primarily oil instead of water) to ensure there were less issues. After spending almost £7 million, the newly restored lift opened in March 2002, and is still hugely popular today. Lion Salt Works - A fully restored historic salt making site, discover a network of country walks, waterways and Mid-Cheshire's economic heartland. Delamere Forest - From Go Ape to the Gruffalo trail, from horse riding to den building - explore one of Britain's finest forests. Marbury Country Park - Explore undulating footpaths along the shores of Budworth Mere, the arboretum and lime avenues, a legacy of a grand past. Vale Royal Falconry Centre - To experience Cheshire's feathery fauna up close, check out the falconry centre. Arley Hall - a Victorian country house with ample charm and character surrounded with some of the finest gardens in Britain.